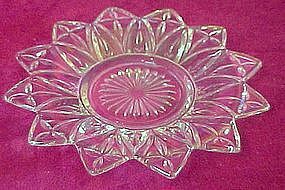 Pretty petal pattern by Federal Glass Co. Shiny irridized rainbow coloring. Measures 6 3/8" in diameter. Pristine condition and no wear.